Hi guys! 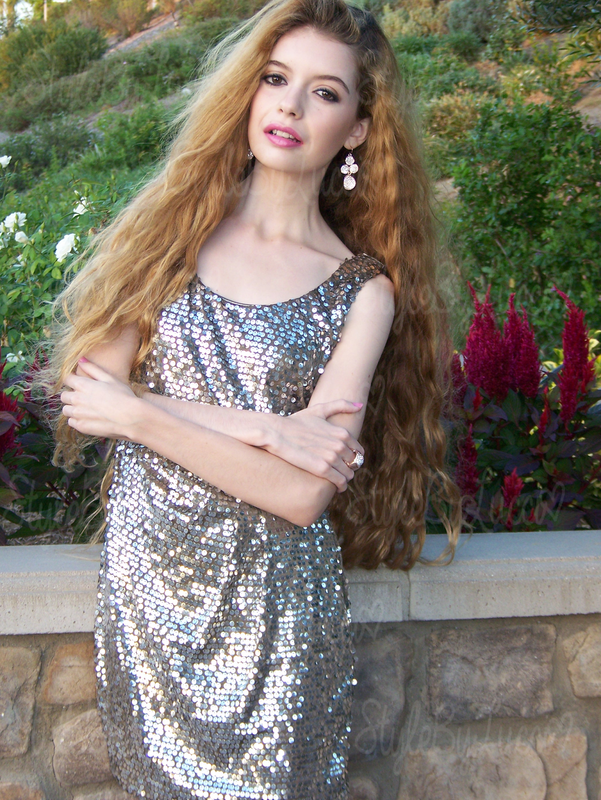 This is my sparkly look for Senior Homecoming! I really loved filming and editing this video and I hope you all enjoy it too! Thank you guys so much for watching! I'm wearing a pewter sequin dress with a twist detail at the waist from JCPenney, crystal-studded rose gold drop earrings by ELLE, a matching crystal-studded rose gold ring also by ELLE, and beige strappy sandals with rhinestone details by Via Spiga.